“Umm”, you may think, “an architectural treatise. Not for me”. Well think, and look again! This is a fascinating book, mainly about two men who made a profound and lasting effect on one of the most beautiful parts of Devon. Mark Rolle does not fit the ‘wicked landlord’ mould provided by some Victorian novelists. He was a quiet and retiring man with a strong sense of duty. Neither was Mr Lipscomb the ruthless or unscrupulous agent so often portrayed by writers. Far from it, he was a man of strong principles, forever urging the case for increased wages and pensions, and the building of new cottages, farmhouses and buildings. At the same time he did not hesitate to point out the “dead loss”, in purely economic terms, of much of this new building. Between the two of them they were also largely responsible for the creation (and character), of Budleigh Salterton, the provision of the railway (from Exmouth to Tipton St John and Sidmouth Junction), together with many local amenities such as Budleigh Golf Course, greens and playing fields, village water supplies and church and village halls. Their characters stand out from the book. I long ago decided Mr Lipscomb’s bark was worse than his bite when I discovered his farm valuation book. This he used to value the farms for rent. Valuers made the valuations field by field, using a code word, in which each letter represented a number. Mr Lipscomb’s code word was “Sympathize”. 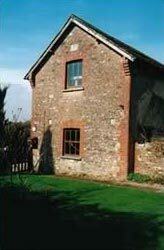 I was not surprised when I later discovered Mark Rolle reduced farm rents during the agricultural depression, to help his farm tenants. After reading the book, take a look around Otterton, East Budleigh, Colaton Raleigh or the vicinity, and admire some of the work of these men. Note the quality of the architecture, workmanship and materials, and their strong character. 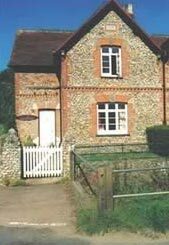 Many of the cottages have decorative finishes to the roof ridges and patterned brickwork at windows and doors. These cottages were for working people, but how often do we see such attention to quality and detail in modern council housing? 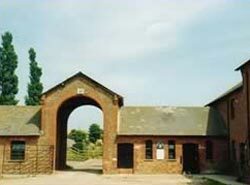 The most accessible and one of the finest set of farm buildings is at South Farm, with its imposing entrance. Take a look, (and visit the vegetable shop while there). This book has been written by Alan Ford of the Otter Valley Association, with a great deal of research, and his enjoyment of his work shines through. It is illustrated with excellent colour photographs. It should be on the reading list of not only every young surveyor, architect and town planner, but also everyone who loves the English countryside. And at only £4.95 it must be one of the bargains of the Millennium (which it marks), too! Mark Rolle: His Architectural Legacy in the Lower Otter Valley by Alan Ford, (ISBN: 09507534-5-9) published by the Otter Valley Association.